What happens when you're called to prevent an assassination plot, only to find your protecting the wrong man? Justin Hall and Carrie O'Connor, Canadian Intelligence Service Agents, find themselves in lawless North Africa on the trail of an assassination plot. The target is the US President, and the hit is scheduled to take place during a G-20 summit in Libya's capital, Tripoli. But the source of their information is the deceitful leader of one of the deadliest terrorist groups in the area. Ambushes and questionable loyalties turn an already difficult mission into a dark maze of betrayal and misdirection. Forced to return to Tripoli, Justin and Carrie dig up new intelligence pointing to a powerful Saudi prince bankrolling the assassination plan. What's worse, Justin and Carrie realize something crucial is very, very wrong with their plan. The summit is only forty-eight hours away… Can they stop the Saudi prince, dismantle the plot, and save the life of Tripoli's target? 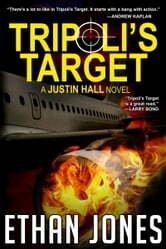 Fans of David Baldacci, Vince Flynn, and Daniel Silva will love this high-octane spy thriller. 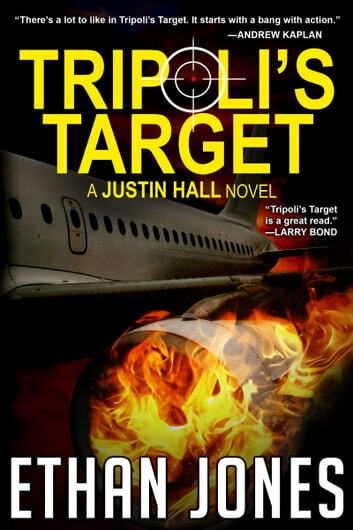 Tripoli’s Target is the second novel in this best-selling series with hundreds of five-star reviews and thousands of sales and downloads. Each book is a self-contained story without cliffhangers and can be enjoyed on its own. Ethan's books are consistently good and the characters complex and interesting. Storylines are well-drawn and topical. I like the fact that the main characters are Canadian and reveal the differences between us and our neighbours south of the thin red line. Refreshingly different. Great title. It fit the plot perfectly. I loved the book. Very fast paced action. I would recommend this to anyone who likes fast paced spy thrillers. Can't wait to read the next one in the series. A great read In Cairo, Egypt the Canadian Intelligence Service served the intelligence and operative needs of the entire North Africa. Invited by one of the masterminds of the terrorist organization Islamic Fighting Alliance, two CIS Agents were deployed to Sudan to gather information about an assassination plot. At the United States Embassy, Tripoli, Libya CIS delivered the message on the assassination plot against the US President in Tripoli during her visit for the G-20 Summit. CIS Agents investigated the assassination plot, discovered the real target and the mastermind.